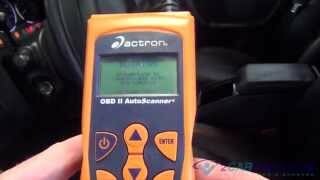 Step 1 - Many times an engine tune up can be accompanied by a check engine or service engine soon light. 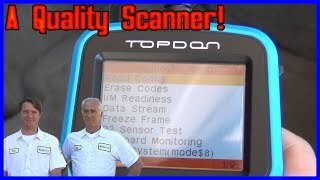 If this is the case, connect a trouble code reader to retrieve diagnostic trouble codes to isolate the misfiring cylinder or malfunctioning system. 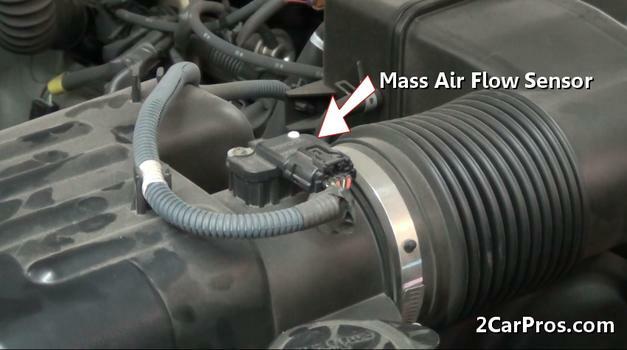 Step 3 - A mass air flow sensor measures engine air intake volume while generating data for the computer. This sensor processes large amounts of air and after many miles of usage, the sensor element becomes contaminated and must be cleaned using a sensor safe carb spray. 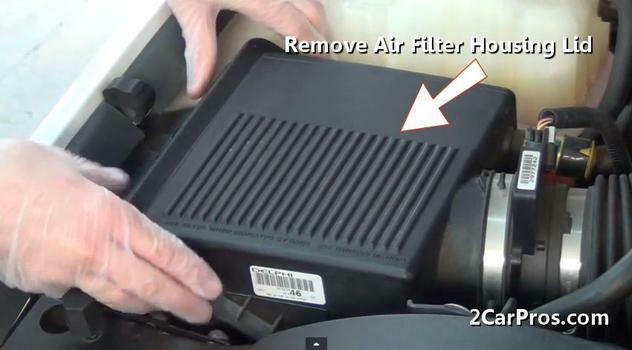 Step 4 - An engine air filter is designed to remove dirt and other contaminants from the air intake system, inspect and replace the air filter. 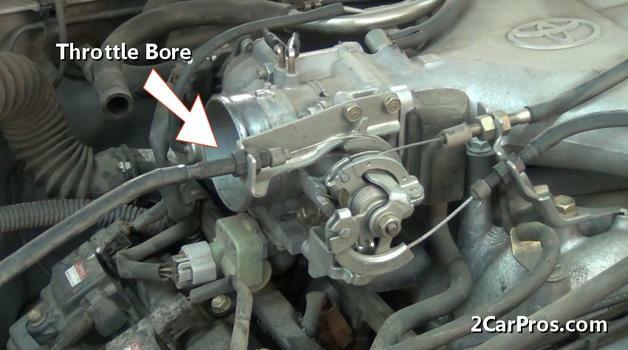 Step 5 - A throttle bore actuator is used to control air flow into the engine's intake manifold, and onto each cylinder. Manually controlled units (throttle cable) use an idle air control valve (IAC) to adjust engine idle speed. These devices process large amounts of air much like the mass airflow sensor. After many miles of operation a condition called coking occurs which hinders performance characteristics. These items must be serviced (cleaned) to operate correctly. 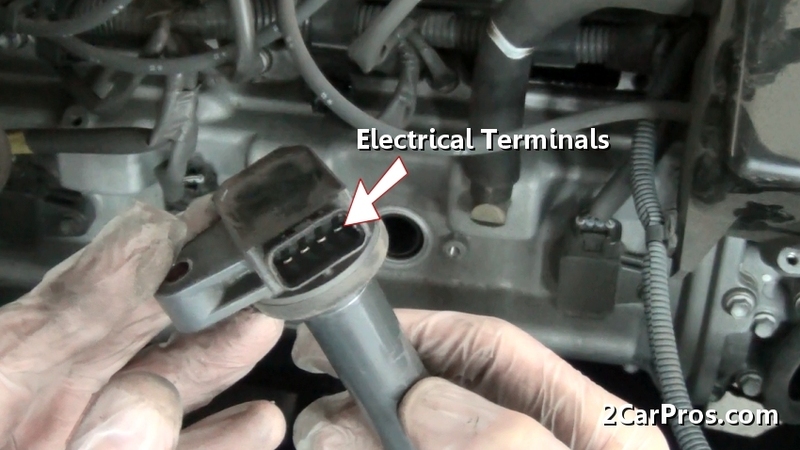 Step 7 - After the spark plugs have been located, remove the ignition coil electrical connector. Step 8 - Once the electrical connector has been removed, located and remove the coil mounting bolt. Step 10 - After the coil has been removed, inspect the coil for dark or light markings which indicates electrical leakage failure and must be replaced. 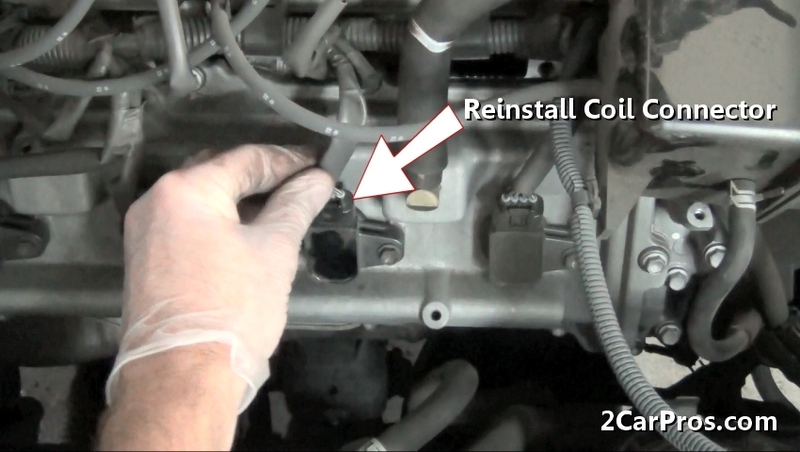 Step 11 - Inspect coil electrical terminals for corrosion or signs of heat which indicates failure. 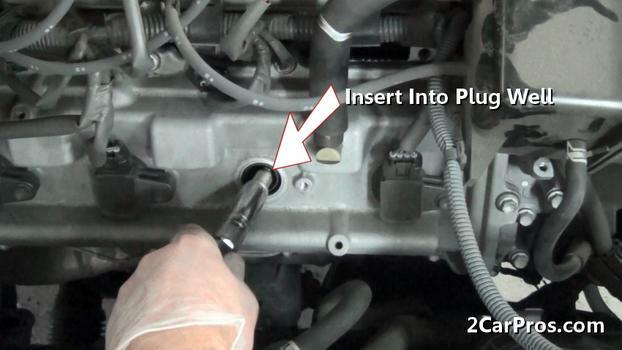 Step 13 - Using a socket wrench, turn the plug counterclockwise to remove it from the well. 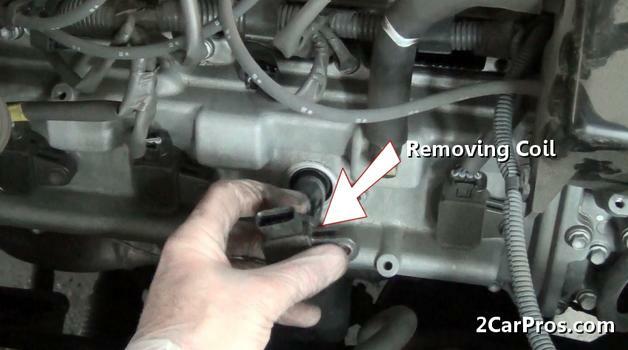 Step 14 - After loosening the plug, carefully remove it to inspect. 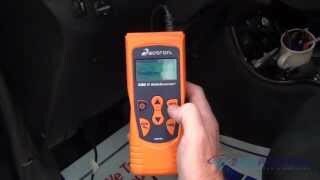 This inspection can give information on how that particular cylinder is running. 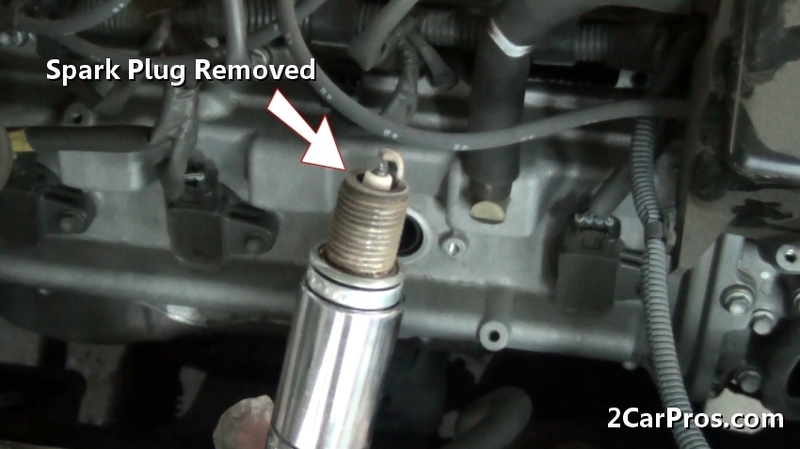 If the plug is white, or slightly yellow with little flecks of gray or black the cylinder is running pretty well. 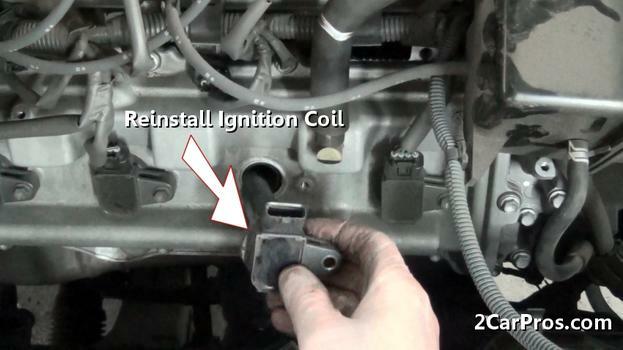 If the plug is wet with fuel, the cylinder is not firing, this could be low compression or a faulty ignition coil. 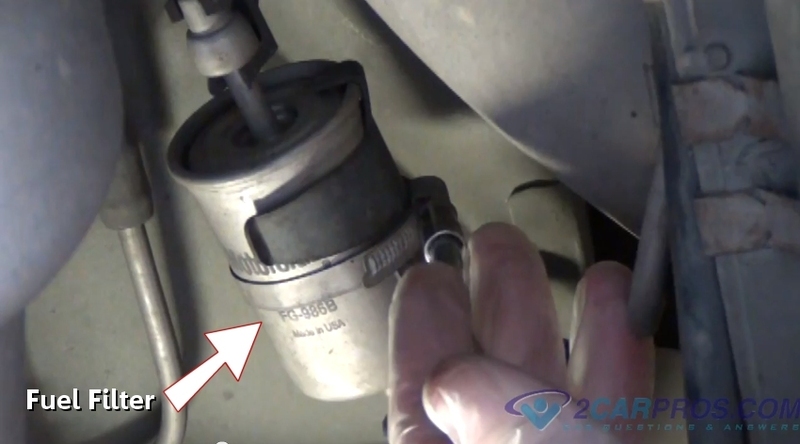 If the plug is covered in black soot, the mixture is extremely rich indicating a vacuum leak or a misfire on opposing cylinders. Step 15 - Once removed, match the new replacement spark plug to the old plug. Its important to install the correct plug or the engines performance will be hindered. Also check the plug "gap" which should be consistent and to the manufacturer recommendations. Step 16 - After the right plug has been identified, with the correct gap measurement, gently insert the plug into the socket. 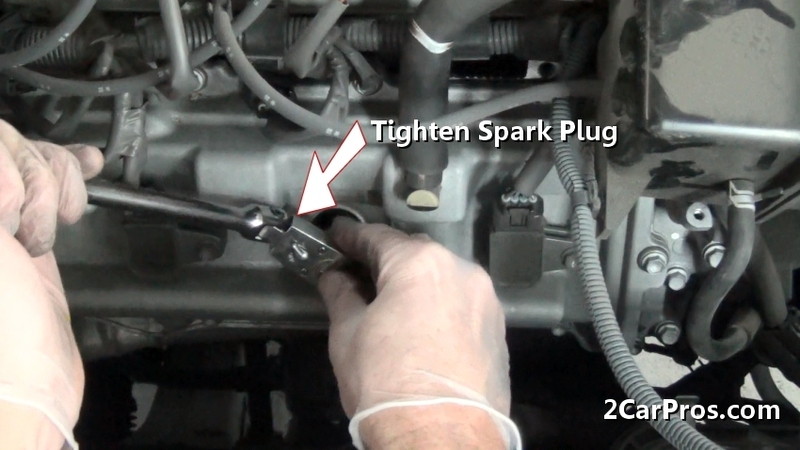 Step 17 - Next, gently lower the spark plug down in to the plug well. 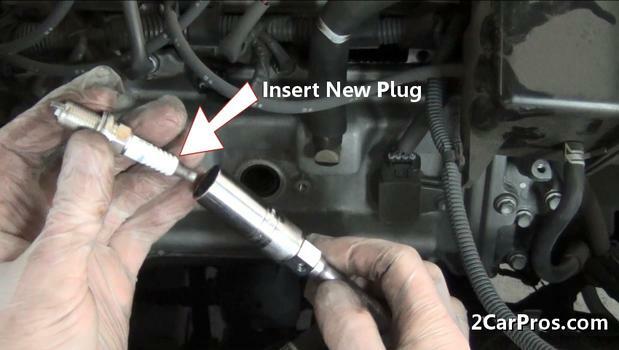 This is an important step because if the plug is bounced, or dropped, it can close the plug gap or damage the plug causing a misfire or poor performance. Step 18 - Once successfully lowered into the plug well and rolled in by hand, attach a ratchet and tighten the plug. The tighten specification can vary, but a general rule of thumb is to crush the sealing ring about half way. Step 19 - After the spark plug is tight, reinstall the coil into the plug well, making sure the end of the coil is over the spark plug. 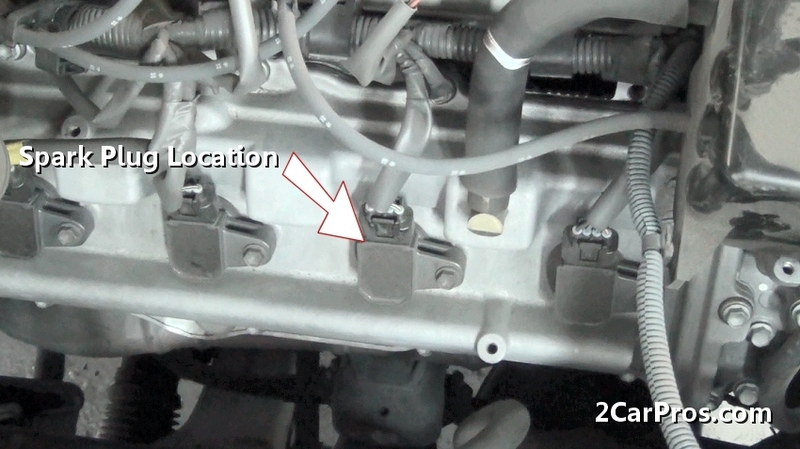 Step 20 - Then, install the coil mounting bolt and tighten. 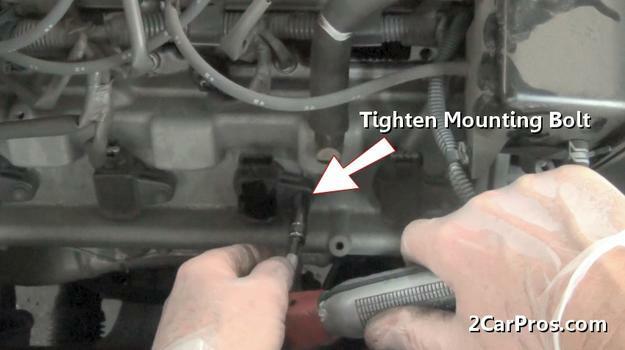 Step 21 - After the coil mounting bolt is tight, reinstall the coil electrical connector and repeat this process throughout the remaining engine cylinders. 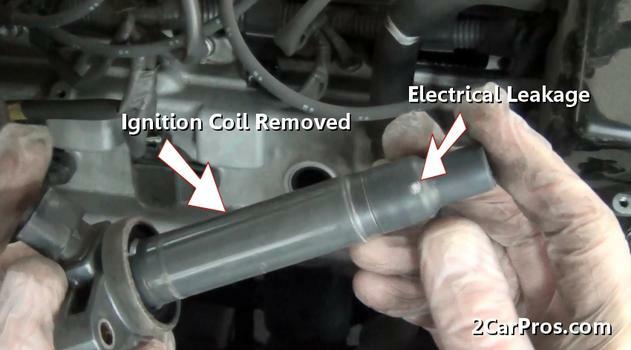 Once completed, start the engine and observe the performance, if obvious problems exist retrace the previous steps to discover a damaged spark plug, ignition coil, or plug wire not correctly installed. Most spark plug gaps are pre-set and ready to install. 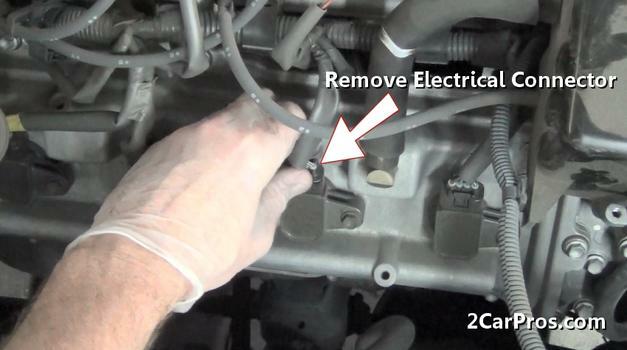 Replace spark plug wires individually to avoid confusion, mark the wires clearly while confirming proper length of each wire, twist the wire boot to help break the seal which will assist in the wire removal. 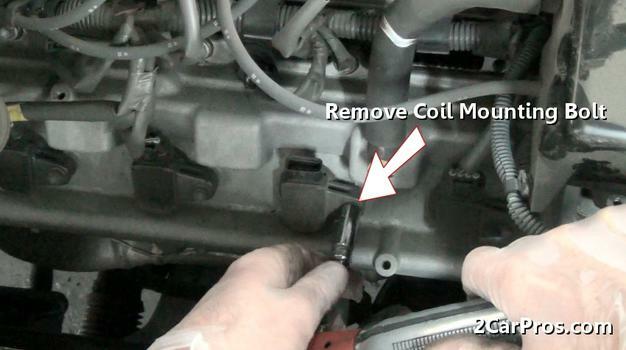 Inspect coil output terminals for corrosion as this will hinder performance. 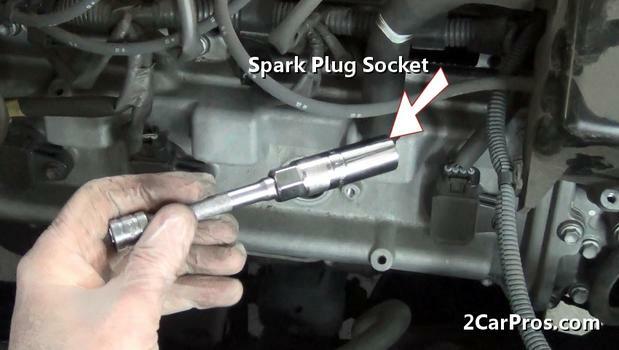 The spark plug gap is important because it determines the amount of resistance used to "time" the ignition system. An incorrect spark plug gap can cause low power and poor mileage. 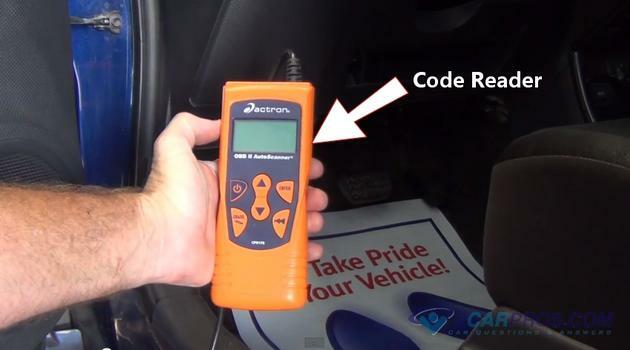 The condition called "coking" can cause stalling as well as variable idle ranges. 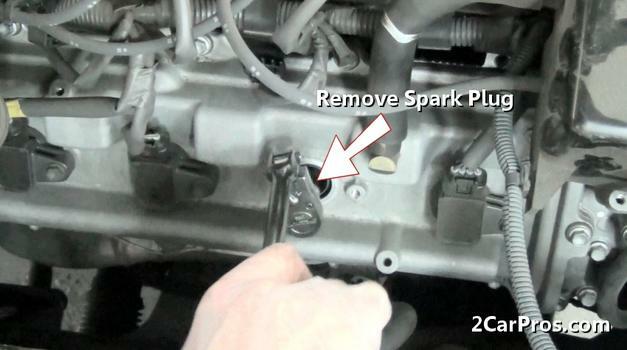 Remove debris from the spark plug well using compressed air. 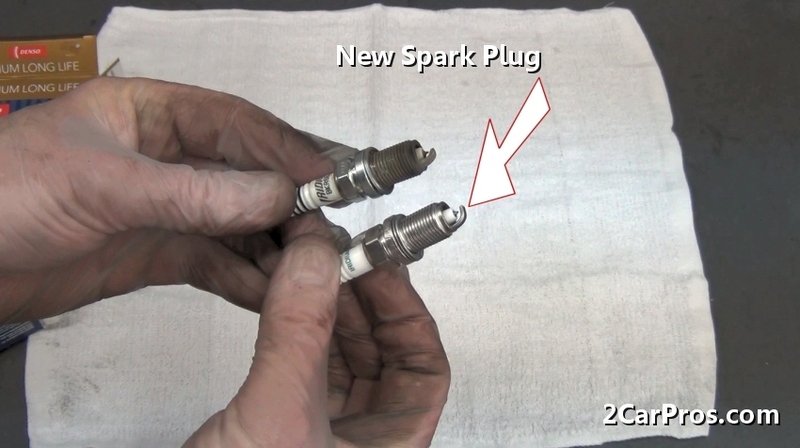 Inspect the new spark plug porcelain and isolator before installing. Use OEM (original equipment manufacturer) parts to ensure proper performance.